Crossing the Arctic Circle is an item on bucket lists of adventurers from around the globe. For good reasons! Trips to the Arctic Circle allow travellers to discover the incredible beauty of raw, untouched landscapes and unique adventures they can’t get anywhere else in the world. While travelling to the Arctic Circle is a bucket list experience in itself, there are countless other bucket list items to cross off once you make it north of 66° 33’ N. Trips to the far north offer once-in-a-lifetime experiences including close-up wildlife encounters, views of spectacular Arctic landscapes and icebergs, witnessing the magical Northern Lights and more. Canada’s High Arctic is home to rare Arctic wildlife including the elusive narwhal and polar bears. You can experience these animals and others such as migratory birds, beluga, and bowhead whales in areas within the Arctic Circle on Baffin Island, Nunavut. Travellers can even get the chance to enjoy Arctic wildlife from the water when kayaking and swimming along the floe edge. Check out this video of kayaking with narwhal where they even got underwater footage of narwhal and if you listen closely, you can hear them singing! 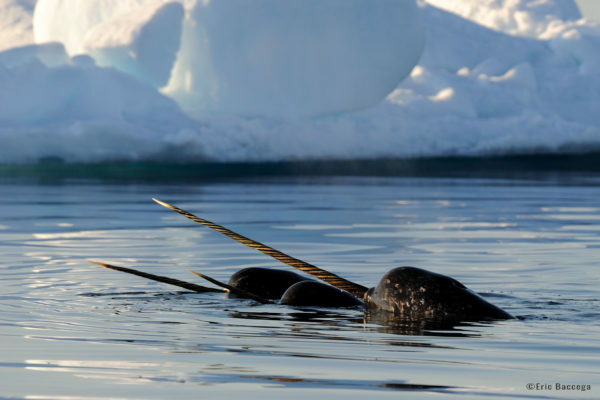 Travellers on our High Arctic tours also get opportunities to encounter narwhal while snorkeling. Check out the video here. 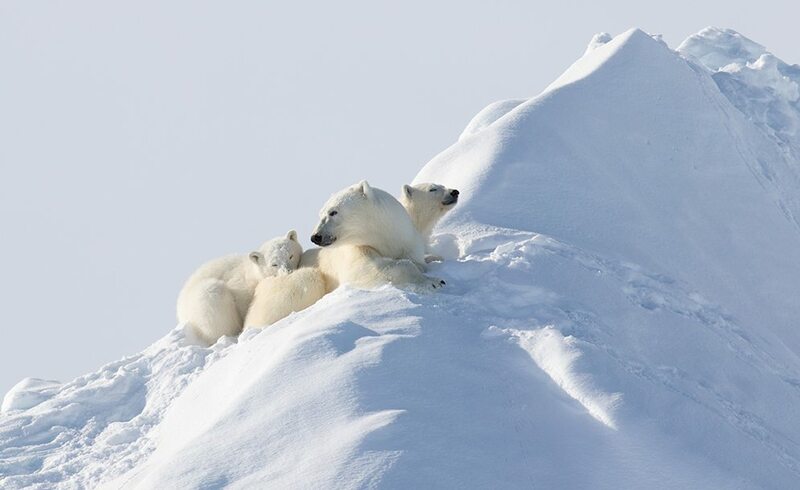 Polar bears, the icons of the Arctic, can be spotted nearly year-round on Arctic polar bear tours. Memorable encounters on our trips include seeing a polar bear mother and cub in summer near Auyuittuq National Park on Polar Bears & Glaciers of Baffin Island. Watch the footage here. 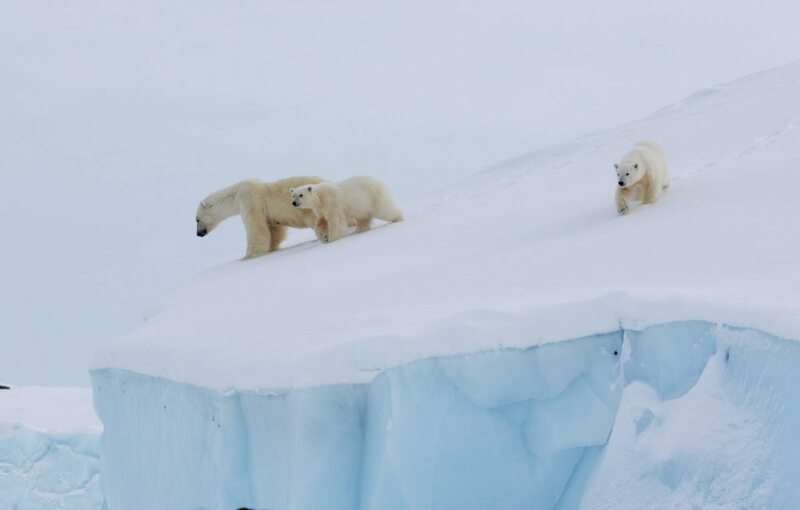 Travellers can also get some amazing opportunities for polar bear cub encounters on Spring Polar Bears & Icebergs of Baffin. Check out some of the footage from 2018 in this video. You can also have amazing aerial adventures on land-based tours in the High Arctic. Get incredible views of dramatic landscapes and icebergs on a fly-in experience that drops you off right at the Premium Safari Camp in one of the most remote and exclusive locations in the Arctic on Narwhal & Polar Bear Safari. 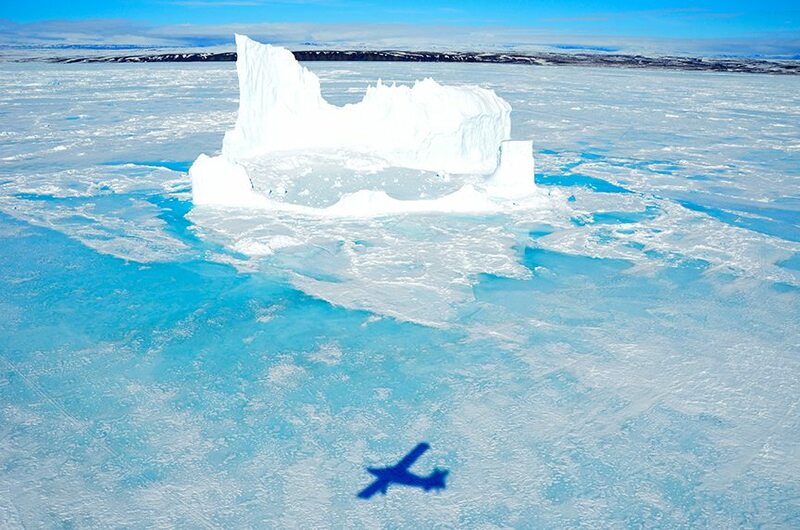 Flying over mountains, icescapes and vast sea ice is a breathtaking start to a trip of a lifetime. This natural phenomenon never fails to take our breath away. Watching the dancing aurora light up the sky at night is an experience worth braving the cold. Did you know you can see the Northern Lights and polar bears in one trip? Viewing an incredible light show at night is an amazing way to end a day of exploring the Arctic wilderness in search of polar bears. Just ask travellers on our Spring Polar Bears & Icebergs of Baffin! Another way to experience the High Arctic by air? Helicopter! 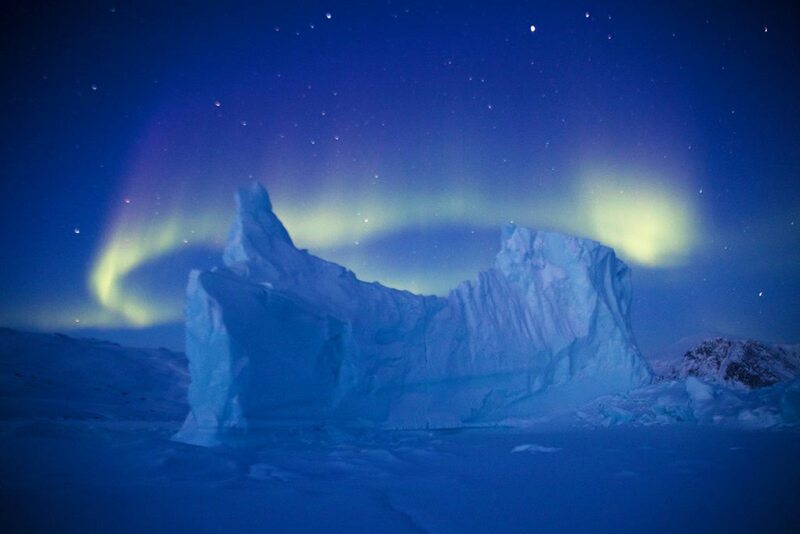 Gazing up at soaring icebergs from the sea ice or from a boat is one way to take in big ice. It’s a whole other experience to explore them by helicopter! 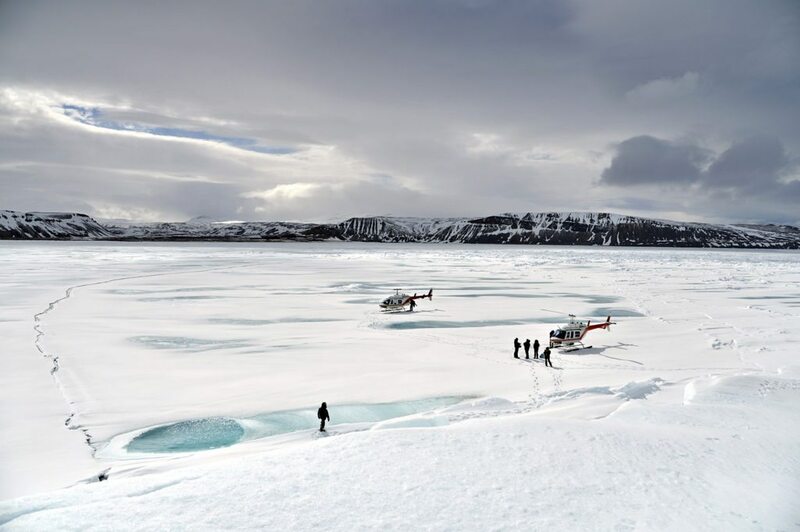 Guests on our Private Journeys have the option to add helicopter tours to take their trip to the Arctic Circle to the next level. Hot air ballooning in the High Arctic is more than just another flight. 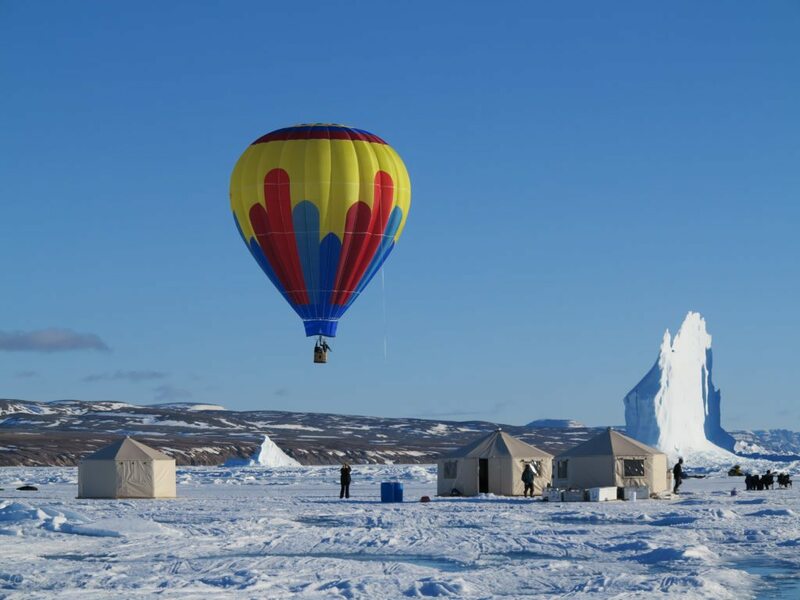 Imagine floating above the top of the world by hot air balloon, a once-in-a-lifetime way to explore icebergs, glaciers and the vast landscapes of the High Arctic. We offer this bucket list experience on our Private Journeys. Our Arctic Safaris and Private Journeys take you out into the remote Arctic wilderness, for trips of a lifetime. Whether you want to kayak with narwhal or view polar bears and cubs on icebergs, we have an Arctic Safari for you. View all of our Arctic safaris here. Trips to the Arctic Circle can also be tailored just for you. 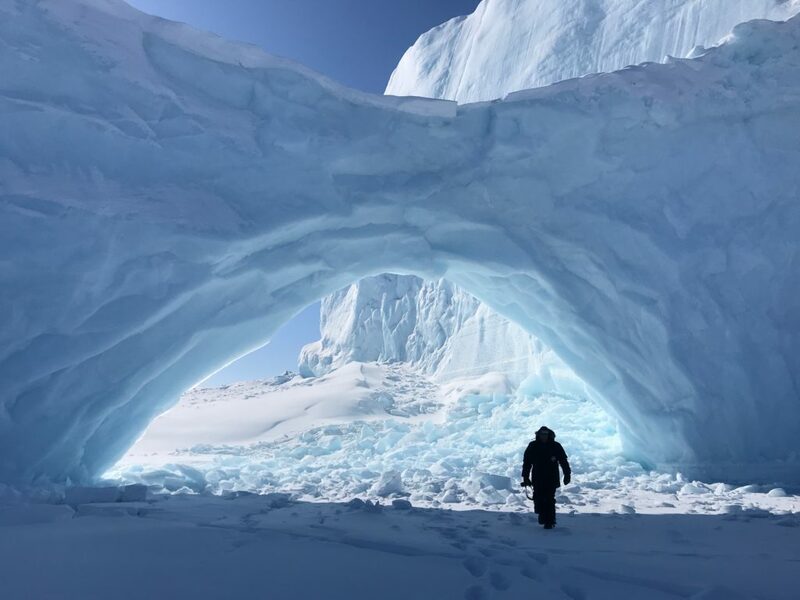 Visit multiple locations, explore icebergs by boat, snorkel in the Arctic Ocean, hike Canada’s most stunning National Parks, or snowmobile across the sea ice, the possibilities are only limited by your imagination. Contact us to start planning your Private Journey. Contact one of our Arctic Travel Advisors to start planning your trip to the Arctic Circle.